I think that an f is pretty harsh. I think bucky got beat by a better team. Right now Wisconsin is a decent but not great team. Good teams, like an Iowa beat decent teams, even on the road. If i thought that uw had more talent I would agree with the harsh grade. But i don't think that there's a Ton of talent there. Hawkeye fan here. I too think you are being too harsh on the Badgers. They were moving the ball fine until Iowa started beating them up and making some adjustments. Bielema's move to put the backup QB in didn't help, but shouldn't have completely sucked the life out of Tolzien. I heard after Mike Taylor went down the rest of the team got scared. 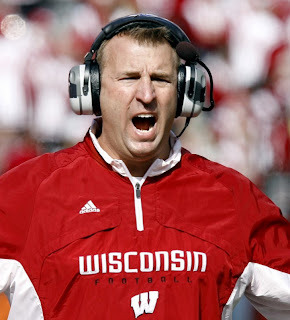 I hope you guys win out, I've always liked watching Wisconsin football.